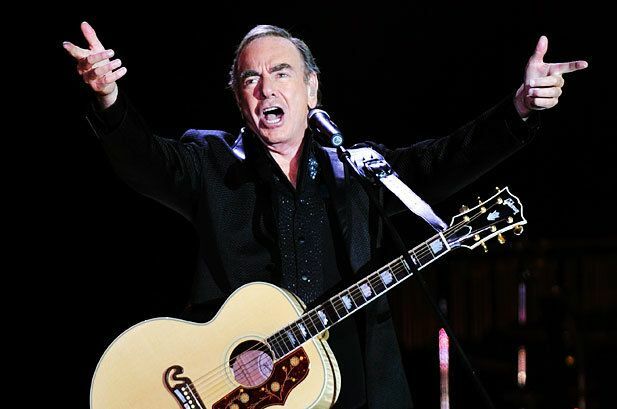 Want to see Neil Diamond live in concert? Diamond was inducted into the Songwriters Hall of Fame in 1984 and into the Rock and Roll Hall of Fame in 2011. Additionally, he received the Sammy Cahn Lifetime Achievement Award in 2000 and in 2011 was an honoree at Kennedy Center. On the Hot 100 and Adult Contemporary charts, he has had eleven No. 1 singles: “Cracklin’ Rosie”, “Song Sung Blue”, “Longfellow Serenade”, “I’ve Been This Way Before”, “If You Know What I Mean”, “Desiree”, “You Don’t Bring Me Flowers”, “America”, “Yesterday’s Songs”, “Heartlight”, and “I’m a Believer”. “Sweet Caroline” is played frequently at sporting events, and has become an anthem for the Boston Red Sox. For more information, dates, and venues, inquire within…..
Want VIP Access to the Neil Diamond Concert? Even if you have seen Neil Diamond in the past, you have never experienced him like you will with our Millionaire’s Concierge VIP Experience. With the best seats available for any Neil Diamond performance, you will experience him in the way he was meant to be seen – up close and personal! Want to meet Neil Diamond? Hang out in exclusive VIP lounges and sip champagne and cocktails? Receive exclusive gifts and merchandise? What are you waiting for? Call us today to learn more about the Neil Diamond.